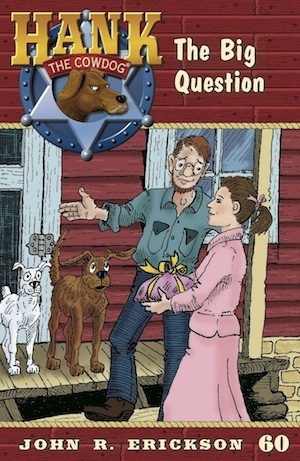 "It’s the day before Christmas, and Loper and Sally May have left Slim to manage the ranch while they go off to visit relatives for the holidays. But, just when it begins to look like another boring bachelor Christmas with Slim, guess who shows up on Slim’s front porch with a plate of baked goodies for Hank? Miss Viola! At least, Hank assumes that the cookies are for him. Then, when a storm blows in and the electric fence separating a herd of steers from the highway shorts out, it’s time for Slim, Viola, and the ranch’s Security Division to jump into action! Things take a surprising twist when Slim comes down with a burning fever in the middle of the operation, and Hank and Miss Viola must rush him to the hospital. But, nobody, and especially not Miss Viola, could have been prepared for the even bigger surprise that transpires along the way!"